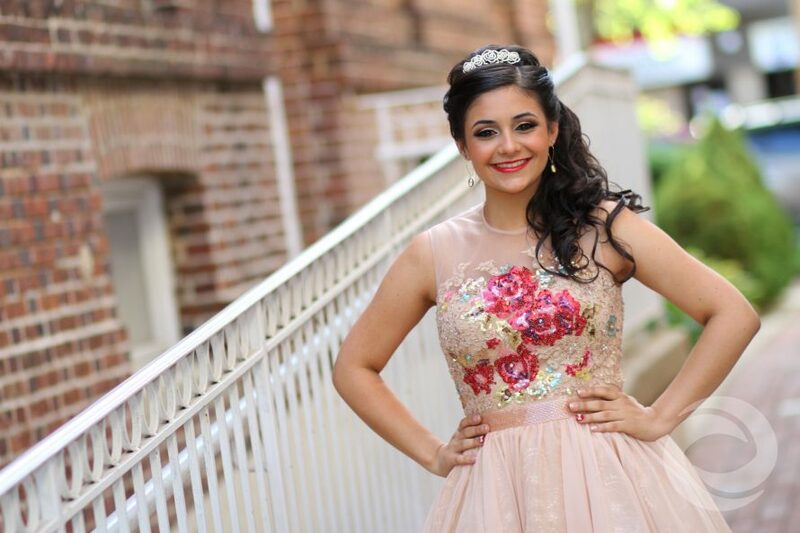 Julia celebrated her Sweet 16 at Courtyard Banquet formerly known as Courtyard on Main. Courtyard Banquet is located in the heart of Freehold Boro and is best known for there delicious food and their outdoor grounds. The courtyard and walkway is a photographer's dream; It's a great place to get photos of the guest of honor's family and the court before the event starts. 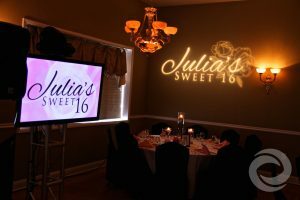 When Julia came to Hurricane Productions for her Sweet 16, she already knew what to expect as far as quality and attention to detail. 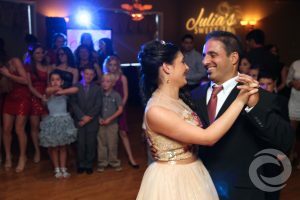 Years earlier, Julia's family used Hurricane for there oldest daughters sweet 16. Julia had a goal to outdo her sister's party. With that goal in mind, Julia needed to have Hurricane's most energetic and in-tune staff. 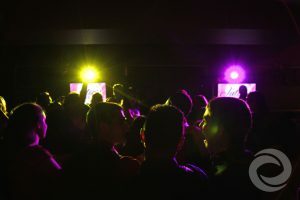 DJ Nate has his hand on the pulse of what's hot in music keeping the dance floor packed. MC Robert "Maserobbiee" Padovano brought his high energy to the party making sure Julia's introductions were over the top. 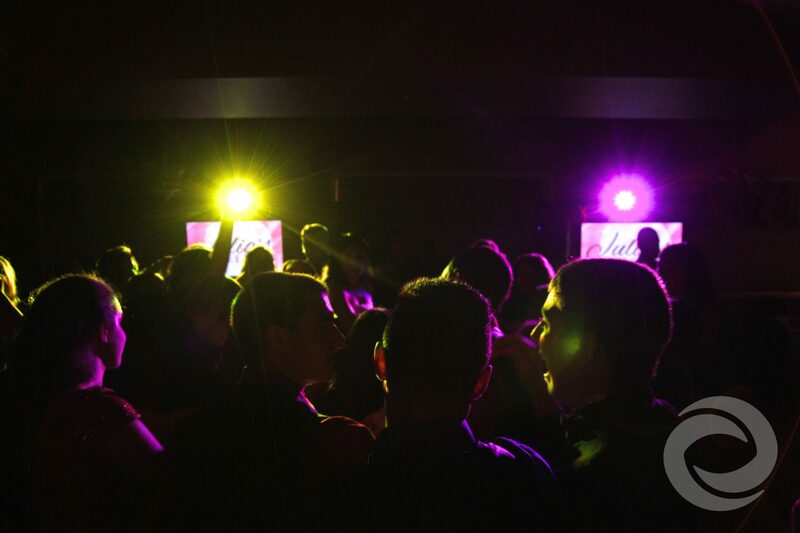 "Maserobbiee" brought energy to key parts of the event creating unforgettable moments. Julia's Sweet 16 was better than anyone could have imagined. Julia wanted to remember her Sweet 16 for years to come. Hurricane provided a photographer to capture all the best moments at Julia's awesome party. Julia had as specific theme in mind for her Sweet 16. The entertainment package also included lighting, custom graphics, LED TV's, and a personalized name-in-lights. 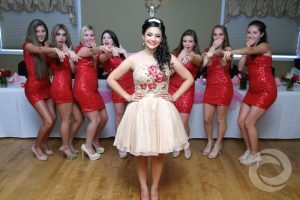 She wanted a bright pink, rose theme for her Sweet 16 party. And we helped bring the floral Sweet 16 theme to life.